It’s no news to foodies in the UK that Scandinavian food is seeing a huge rise in popularity. I’ve written a fair amount on Swedish food but I decided it was time to branch out. Finnish food. I knew nothing about it other than it’s supposed to be similar to Swedish food. And so my quest began to find Finnish food in London. After a cursory Internet search, I realised that this would be tricky. Finland only has a population of 5.4 million and there are only ~30,000 in the UK. Although most of them are in London, that still doesn’t leave that many Finns in the capital. 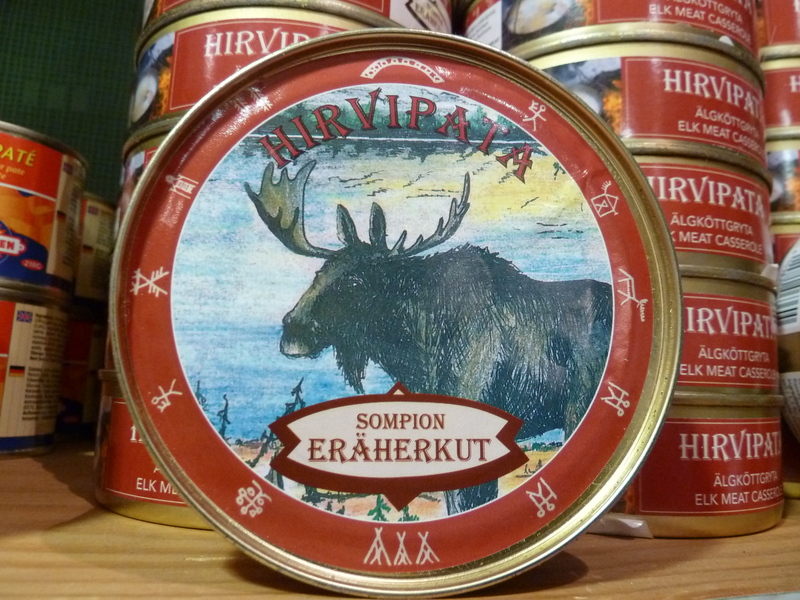 As for Scandinavian food being trendy, Finnish food seems to be a little forgotten about. There are three places that I could find: Scandinavian Kitchen, which offers a mix of many Scandinavian food, the Finnish Church and the Nordic Bakery, which has predominantly Finnish-style sandwiches and cakes. Having previously paid a visit to the Scandinavian Kitchen in search of Swedish semlor, I decided to head to the Finnish church in Rotherhithe, which has a cafeteria. My friend and I entered a canteen-style room where Finnish families were queuing up and helping themselves to potato-and-salmon stew and the traditional crispbreads with cheese. We joined the queue. And then we realised no-one was paying. I went to the lady in reception and asked. I immediately declined this overly kind offer. We were not here to steal food off Finnish Christians. That’s when she pointed to some pastries on the table the other side of the room. Help yourself, she said. You can pay later. First up, I sampled a type of pulla – a traditional cardamom bun. 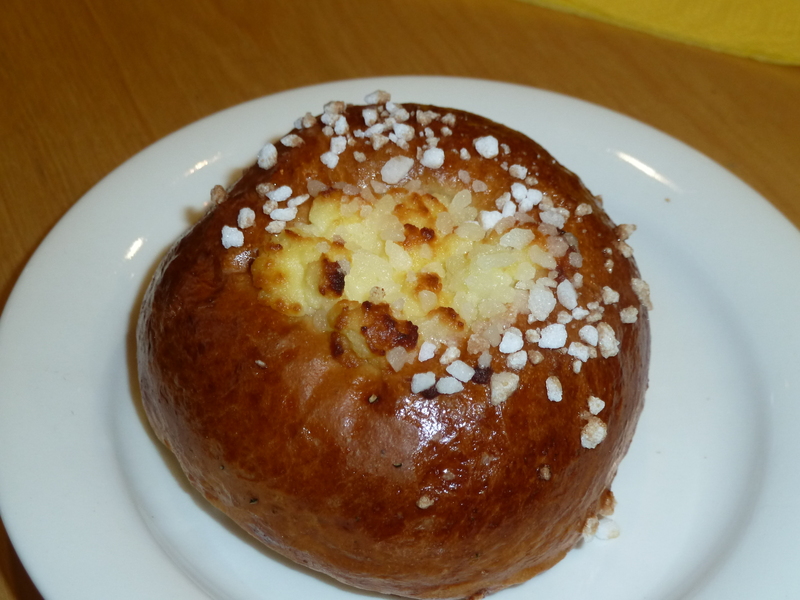 It was lightly flavoured with some kind of mildly sour butter or cheese on top, sweetened by sugar. It was quite an intriguing contrast and I could imagine happily snacking on these. 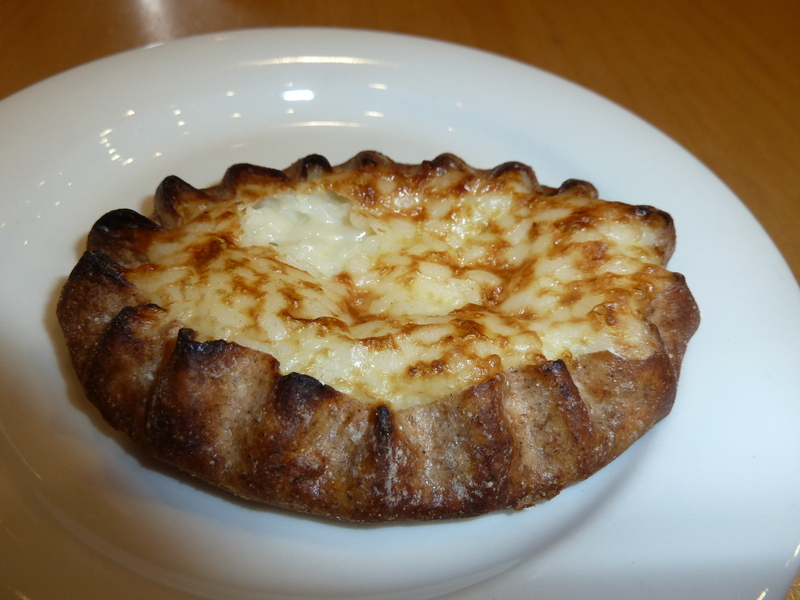 Next, we tried a karelian pie. This is a rye crust with a savoury rice filling. I wasn’t quite sure what I made of it – it was quite one-dimensional in flavour and my friend and I thought it would be improved by the addition of some jam. 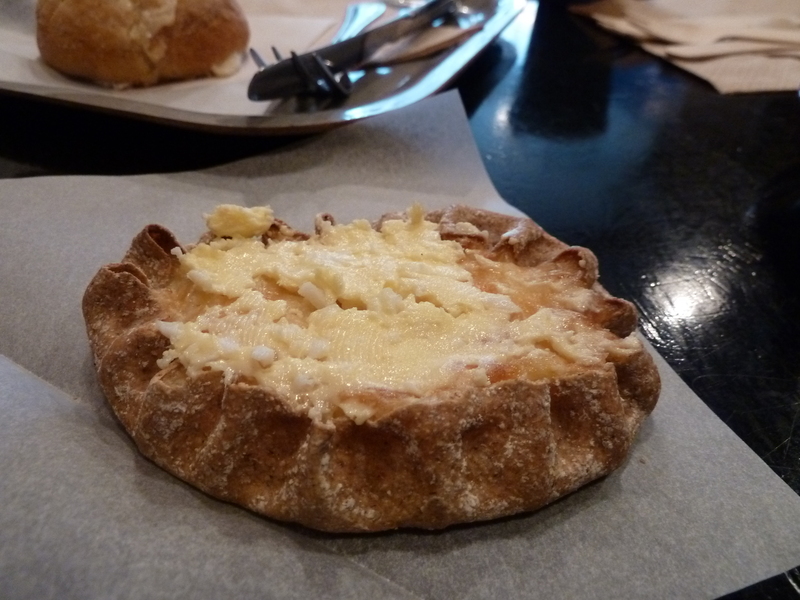 But then I sampled the Nordic Bakery karelian pie (£1.70) and I think it might be my new favourite snack. This pie came topped with an egg butter and was lot more flavoursome. The firmness of the crust contrasted with the softness of the filling, and the whole pie was a delightful mix of textures. They also do a potato version, which I’ll be heading back to try! After polishing off the karelian pie, I got my hands on a Finnish cinnamon bun. 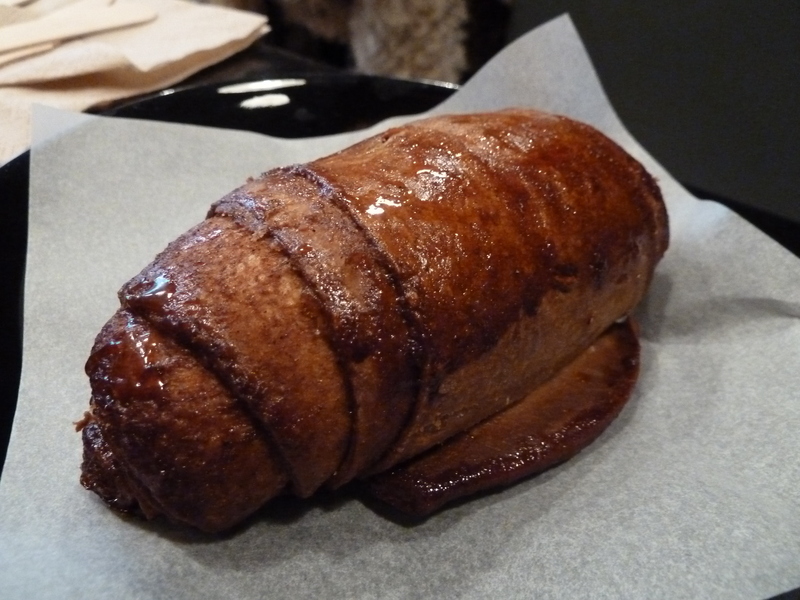 The bread was almost crispy and quite chewy – the whole bun was very dense – but the cinnamon made every mouthful moreish. 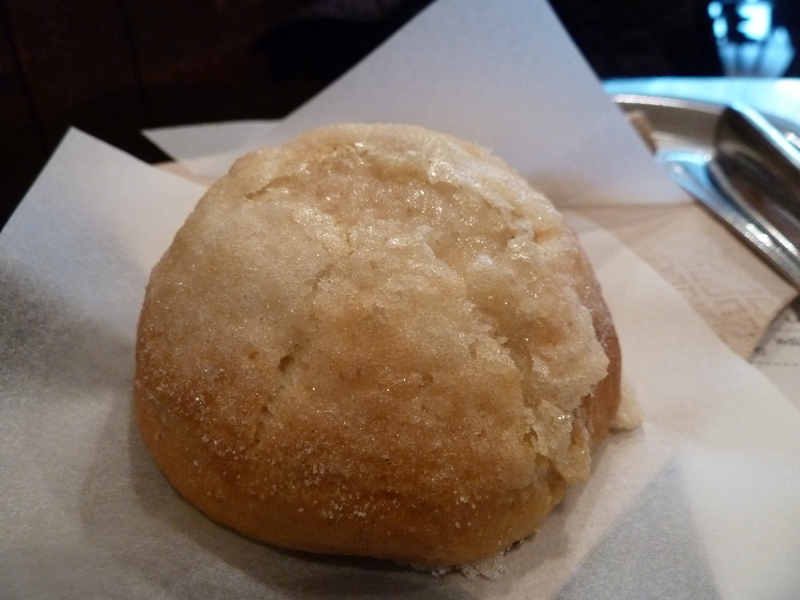 Finally, I tucked into another type of pulla – cardamom bread and sugar. Nordic Bakery also has some flatbread open sandwiches but I didn’t try them because they looked a little pricey for their size and content. I’d love to try some Finnish food that isn’t just bread and pastries, so if anyone has any recommendations, please email me or leave a comment below. When: Weekdays 14-21, Saturdays 10-21 and Sundays 10-20.